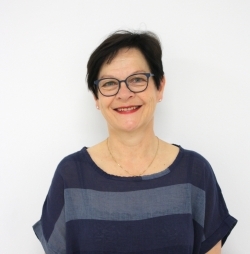 Pirkko Ruuskanen-Parrukoski works as a Chief Executive officer (CEO) at KVS, The Finnish Lifelong Learning Foundation. KVS is a member of the Finnish Adult Education Association (FAEA) and an associate member of EAEA. KVS has 143 years of history in adult education in Finland and over the years also international work and cooperation has become more and more important. KVS believes in dialogue and learning as the basis in building the society a better place to live for individuals. Main aim in KVS’ work is to foster lifelong learning through the publishing of online media both in Finland and in Europe, the publishing of a scientific Adult Education Journal, building media literacy as a civic skill and connecting internationally via different projects. KVS also facilitates the Communications Unit of EAEA. KVS also maintains the Kulkuri School of Distance Education for Finnish expatriate children and youth to keep up their mother language skills as well as to strengthen their cultural identity. The school offers professional teaching in various compulsory school subjects in the National Curriculum. Pirkko Ruuskanen-Parrukoski has a degree of a Nurse educator’s degree and a Master’s Degree in Health Sciences. She has just completed her PhD research in social politics. She has been a member of the Board of the Finnish Adult Education Association (FAEA) since 2007. She has been the member of the EAEA Executive Board in 2011–2013, and between 2016-2017. In adult education, she has worked in vocational education and in popular education sectors. In vocational education, she has worked as a teacher in social, and as a principal in social and health care college, and as a head of the unit in the Diaconia University of Applied Sciences. In the liberal adult education sector, she has worked in NGOs like in the Finnish Federation of Settlement houses. The work there included mostly policy advocacy work for the popular adult education institutes. I think that we do need a united Europe more than ever and I see that every connection and every move we do towards it is important. In that work adult education is one of the best instruments.